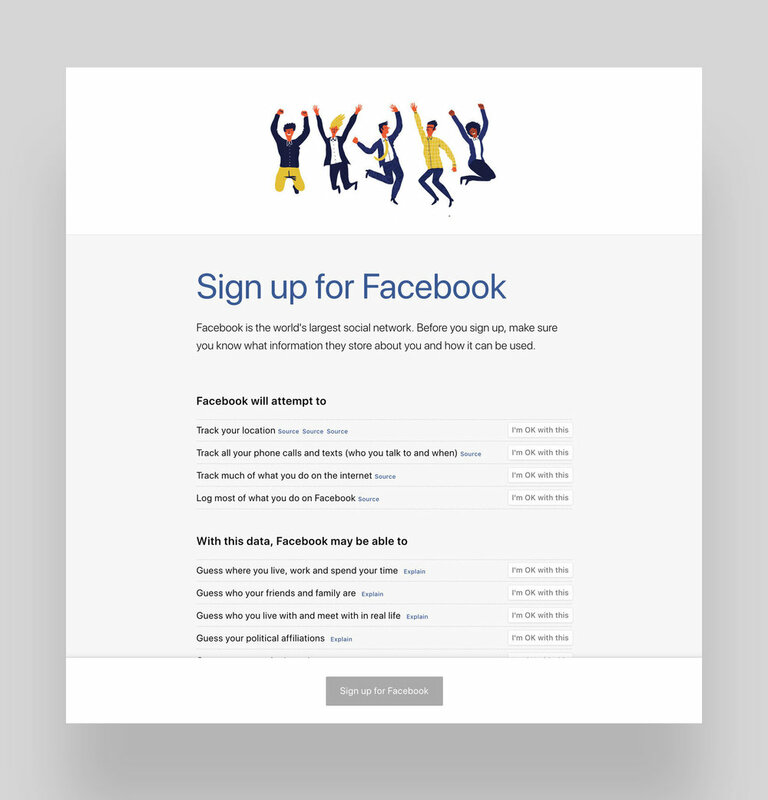 Last week, I launched signupforfacebook.org. The web site doesn't have any tracking scripts, but judging by the HTTP requests to the server, the site has had roughly 25 000 hits this week. It's the number one story this month at DesignerNews and it's been shared on HackerNews, Reddit, and Twitter.